The day we’ve all been waiting for (well, mostly just me) is finally HERE! 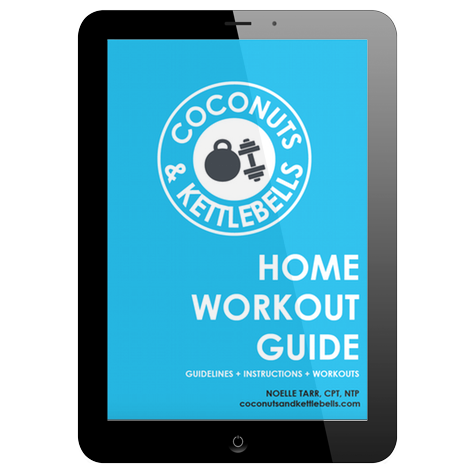 Over the past few months, Stefani and I have been working on some killer bonuses for everyone who pre-orders our book, Coconuts and Kettlebells. The pre-order bonus package contains content that isn’t included anywhere in the book. 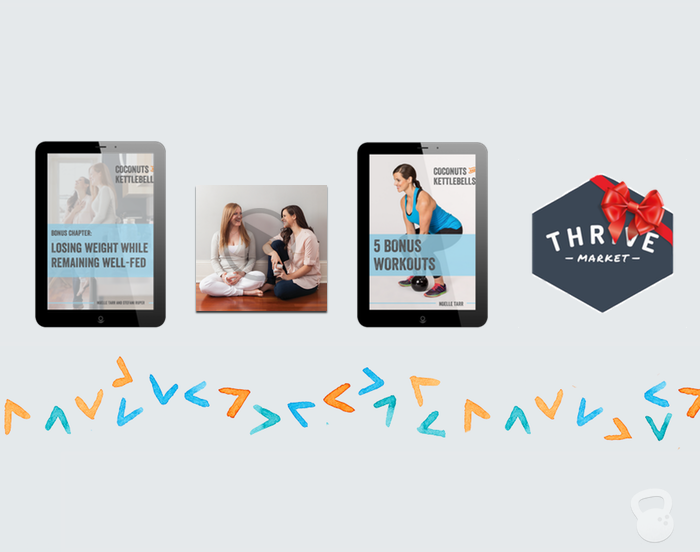 It’s sort of like Coconuts and Kettlebells 2.0—an extra chapter, audio file, and bonus workouts, all of which are additional resources to help you pursue health in a way that is right for your body. 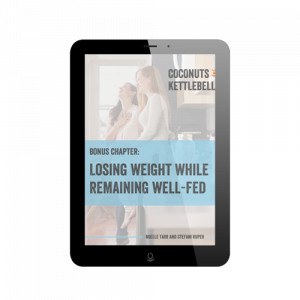 In this bonus chapter, we offer guidance for people who may be struggling with weight loss. You’ll learn about the most common reasons women experience weight loss resistance, and the best ways to support the body’s metabolism. 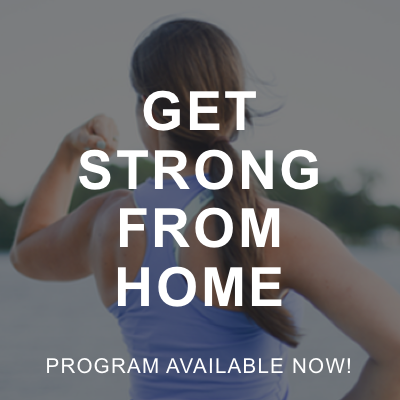 You’ll also learn how to facilitate the appropriate mindset when pursuing weight loss goals, and the most common pitfalls, including the wagon mentality, the shame cycle, and associating your worth with what you eat or the size of your waistline. 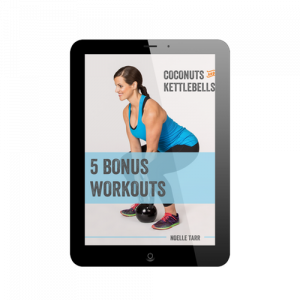 In addition to the 24 workouts in Coconuts and Kettlebells, you’ll get access to five bonus workouts—all of which can be done from home or on the go. 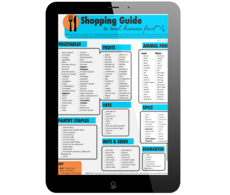 The workouts include the tools and exercises included in the program. Should you eat low carb? High carb? What if you’re an athlete? Or breastfeeding? Macronutrients are a hot (and complex) topic right now. 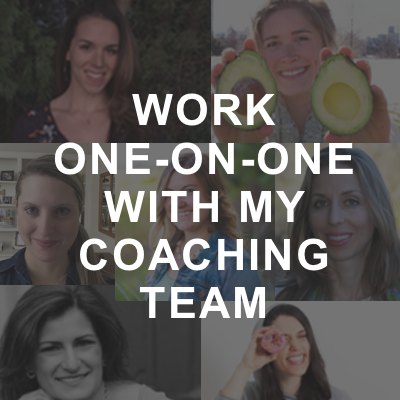 On this hour-long audio recording, Stefani and I go over how to find the macronutrient ratio that is right for you. We also answers questions from the community related to the topic. 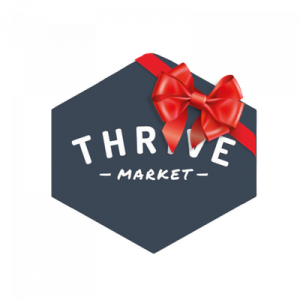 You’ll get access to special discounts and promotions with our favorite brand partners, including Thrive Market, Morrocco Method, Four Sigmatic, and Kettle & Fire. 1. Get the book! 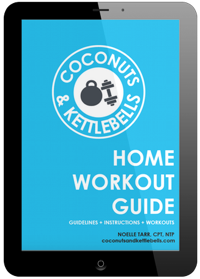 Pre-order a copy of Coconuts and Kettlebells anywhere books are sold, including Amazon, Barnes and Nobel, Books-A-Millon, Google Play, IndieBound, or iBooks. Make sure to do this before August 7, 2018! Whether you pre-ordered the book months ago or pre-order it today, it all counts! 2. 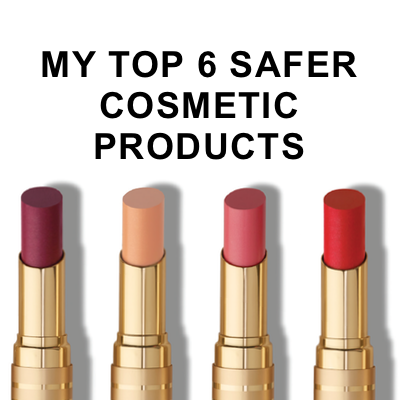 Send your purchase confirmation to this email. Simply forward us your purchase confirmation or take a screen shot and send us the photo. 3. We’ll confirm your pre-order and send you an email with instructions on how to get your goodies. Be sure to check your spam filter (or Promotions tab). When you pre-order the book, it helps us tremendously. The more pre-orders we have, the more the industry sees the book as noteworthy. This gives us a better chance of being on best-sellers list(s), which will get the book in front of more people. We want our message to spread like wildfire. 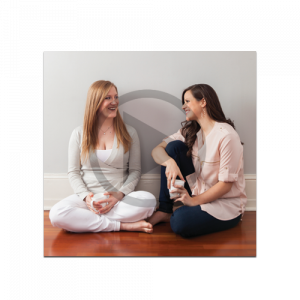 We want to grab people who are deeply rooted in restrictive eating and diet culture, and show them a completely different way to health. We wouldn’t have this opportunity without you, so thank you for supporting us and making this possible. We can’t wait to get the book in your hands!